This sunflower has 8 – 10″ blooms with pale lemon-yellow petals with dark centers on sturdy central stalks 5′ – 7′ tall with side branches. 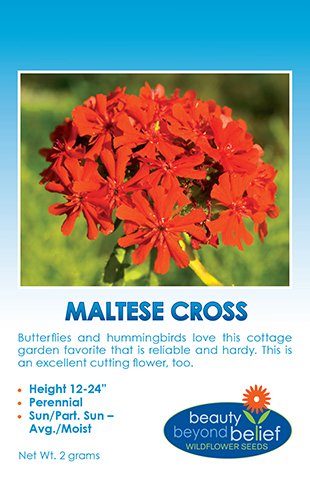 Place these tall flowers at the back border of the flower garden and enjoy the cut flowers in arrangements. 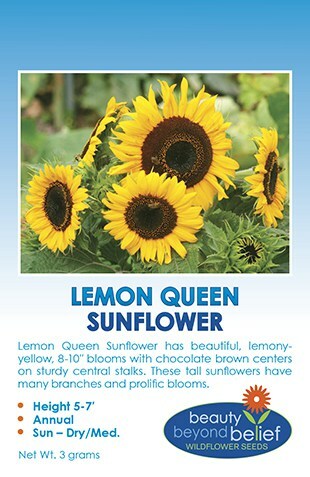 Lemon Queen Sunflower has 8 – 10″ blooms with pale lemon-yellow petals with dark centers on sturdy central stalks 5′ – 7′ tall with side branches. Place these tall flowers at the back border of the flower garden and enjoy the cut flowers in arrangements. 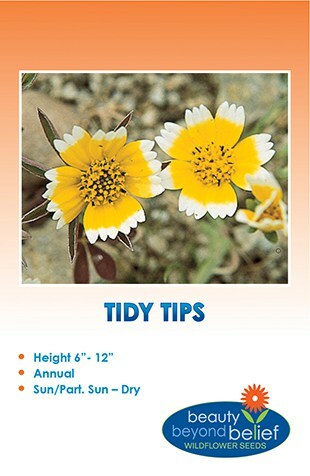 Thin the seedlings to 18 – 24″ apart. They will do better if planted with composted manure and slow release fertilizer. Keep them deadheaded until the end of the season. If you deadhead your sunflowers, they will keep pumping out new blossoms in their will to create seeds and more sunflowers. Don’t cut the stalk way back, the next sunflower often forms just inches from the place you deadheaded. Leave the very last batch of spent flowers for the birds and for next year’s flowers. When it seems like the sunflowers are slowing down, leave the last set of flower heads on the plant for the birds. Even if it is a little ugly going into Fall, birds like the seed heads right on the plant. Little finches especially like to sit on top of the old brown seed head and bend over and pluck seeds out. If you are planning to grow a plot of sunflower plants and not just a decorative patch, you will need to consider the size of the individual plants and plant the seed accordingly. For a generic sized sunflower plant, plan on a seeding rate of 15,000 – 25,000 plants/ acre. That is around 3-4 lbs of seed/acre. (The giant sunflower plants such as Grey Stripe and Black Russian will need to be planted farther apart.) If you aren’t going as large as a whole acre, that breaks down to around 625 plants/ 1,000 sq feet, about 2 oz of seed. You will need to increase this amount if you plan to plant thicker and thin down to the strongest plant. Planting sunflowers closer together will result in more smaller flowers, farther apart fewer larger flowers. Plant no more than 1 inch deep into loose, fertile soil, in direct sun after the danger of frost is past when the soil temperatures are around 55 – 60 deg. Plant about 12 inches apart in rows about 30 inches apart. 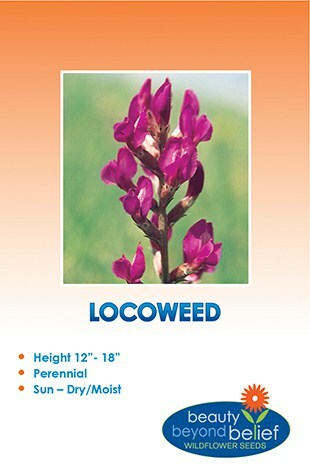 Ideally thin the weakest plants until you have 1 plant per 2-3 sq ft.
BBB Seed specializes in the distribution of Wildflower Seeds and Heirloom Vegetable Seeds, Native Grasses, Grass Mixes, Turf Grasses, Grass and Wildflower Mixes, Regional Wildflower Seed Mixes, and Special-Use Wildflower Mixes including our line of 4 great Pollinator Mixes. In addition, we produce a variety of fun products including Natural Handcrafted Soaps, Gift Baskets, Greeting Cards and More! And one of our new favorite products is our line of Bloomin’ Tins, with a customizable label, filled with wildflower seeds for that perfect way to remember a special day!